I thought it would be nice to create a resource page so you can easily see some of my recommended products, services, and companies I use/know that are valuable! It makes it a quick page to find it all, instead of searching multiple posts! Ebates.com: If you shop online this is a great site to join up with! Earn CASH Back for shopping online at select stores. They have tons of stores to shop from, Toys R Us, Amazon, Kohl’s, Target, Macy’s, etc. The list goes on and on. You just go to Ebates first, select your store, it will show you what your cash back rate is, and you shop like normal! Sally Beauty Supply: I use Sally Beauty Supply to buy hair color for myself! It saves me a ton of money to do it myself and it is really good quality! All of their products are salon quality because salons often buy THEIR supplies there! It is very affordable, and I have been using it for awhile now. Groupons: I love shopping on Groupons because you can buy so many items at a big discount! From bedding, home decor, local restaurant deals and so much more! $5 Meal Plan: Here is a fun one for you all! You can join the $5 Meal Plan, it is a great way to cook more at home and cut down spending on food! You will get meal plans sent to you along with what you will need for your shopping list to create the meals. It is really great if you want help coming up with meals, and saving money! Try it out today, click here. Amazon Prime: Most of you are probably already a member of Amazon Prime, but if you are not I recommend this. I shop on Amazon all the time and I love my Prime. I get Free 2 Day shipping on most products, free streaming on tv shows and select movies, ebooks and so much more. It really has a lot of perks. You do pay for a yearly membership. I was hesitant to spend the money at first but now I know it is well worth it! Zulily: Here is a fun place to shop, you can shop discounted sales everyday. They have maternity, house decor, women and mens, children and more. So many unique items you can score up to 90% off! New sales are available every single day. PicMonkey: Here is one of the editing softwares I use for editing my pictures. I do use the paid service which is $4.99 a month. You an use the free but you don’t get as many of the edit options, and I use the paid edit options in all my photos. I love the curve, it really helps boost the color in the photos. 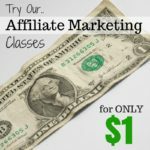 Pajama Affiliates: I have talked about this in depth on how I am seeing results from taking some of their courses! 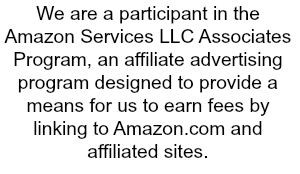 I love Pajama Affiliates, they are helping me grow my blog and bring in some income. I highly recommend their courses! BlueHost: If you are looking for a hosting for blogging, here is a great one. So many bloggers have used BlueHost and have a great success with them, and they are very affordable, which is so nice!